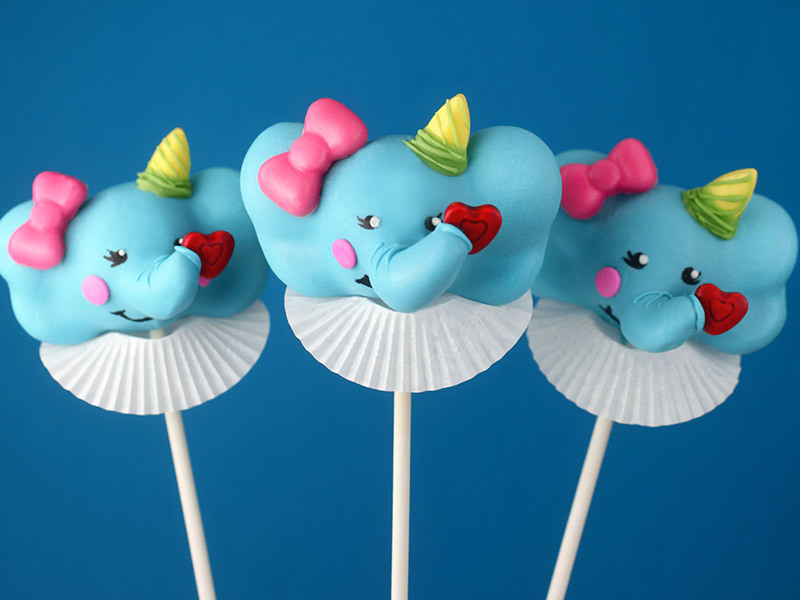 I’m sending you guys tons of love with these sweet little elephant cake pops. Hope you like them. 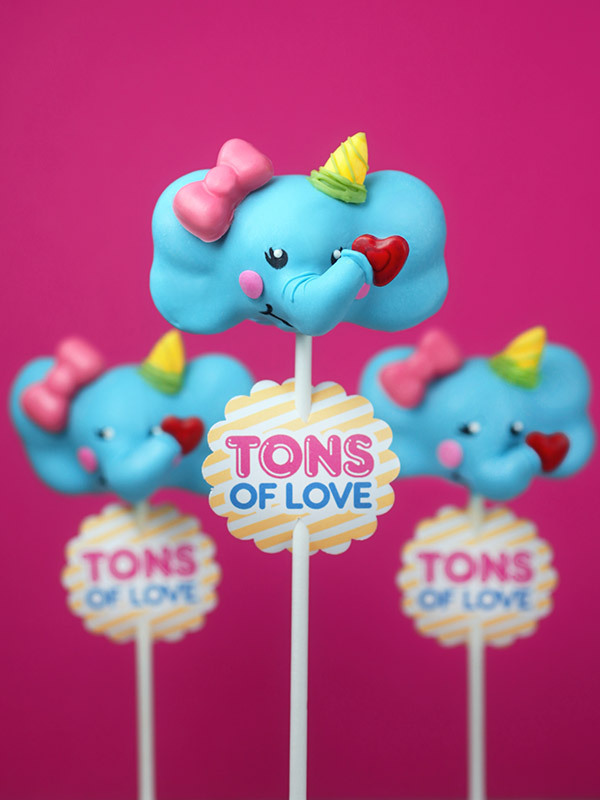 They were inspired by those charming vintage Valentine’s Day Cards where the elephants hold up hearts with their trunks. Anyway, I couldn’t resist trying them out in cake pop form. To get started you need cake. Well, crumbs to be exact. 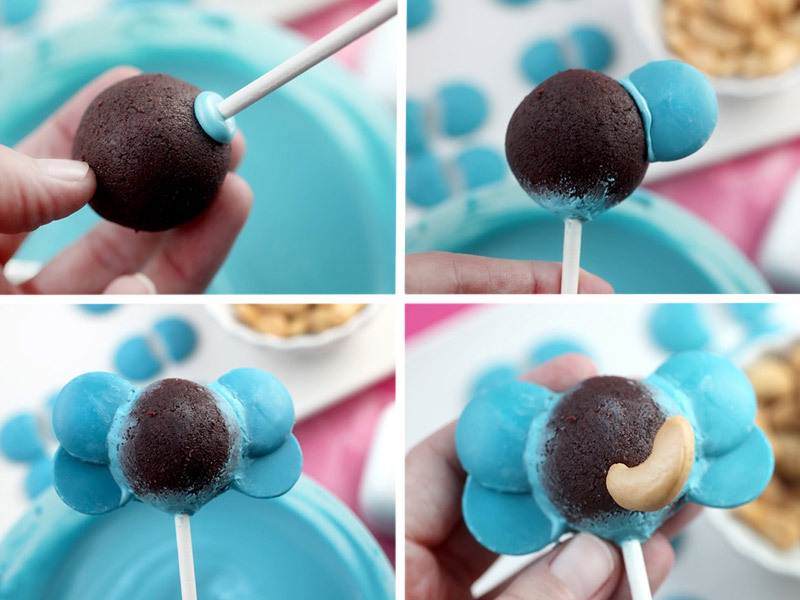 Hop on over to my instructions for making Basic Cake Pops if you haven’t made them before. Once they are rolled into balls for dipping you can get down to the fun stuff … decorating. For the trunks, I just used cashews. They worked out pretty awesome!!! For the ears… and I wanted these to look big and floppy … I originally thought I would use pretzels, but that didn’t go so well for me, so I ended up just using the same candy wafers that I use for dipping. Instead of melting them, just carve out curves from the side of the wafers using a small round cutter. I used the big end of a piping tip that I had handy. Having the curved side will make it easier to attach by matching the curved shape against the side of the round cake pop. See below. Okay … dipping prep. 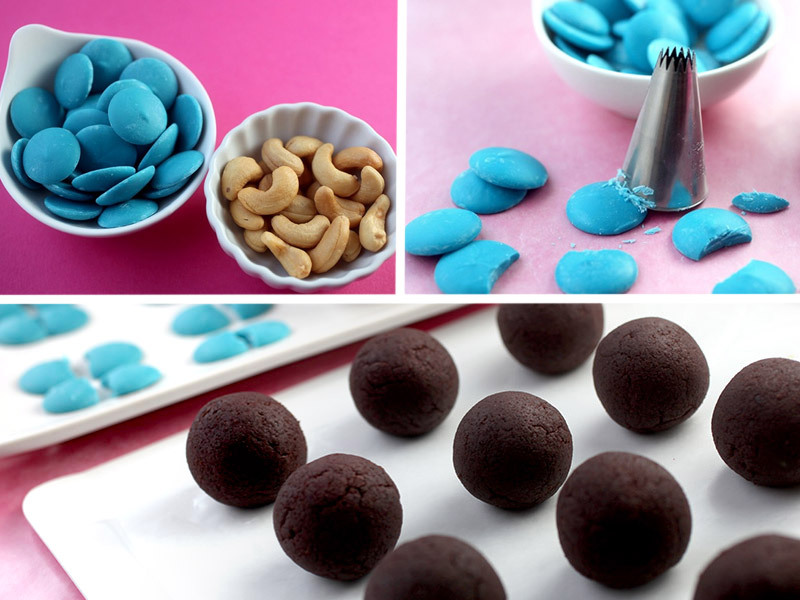 Usually I just insert a cake pop stick into melted coating and then into a chilled cake ball right before dipping. And that little pool of coating at the base in the top left photo just blends all together. But for these elephants, I’m attaching several pieces before they get dipped so that pool of candy needs to be smoothed out or else it will dry and become part of the shape of the head. Just use your finger and quickly smooth it around the base of the pop. This also helps to secure the stick since you’re not dipping right away. Next, dip the cut and curved edge of a candy wafer into the melted candy coating and attach to the top and side of the ball with the rounded part of the wafer facing front. Take another cut wafer and attach to the bottom right with the flat side facing front. Smooth out any coating where the wafers are attached to the cake pop so when you finally dip, the transition will be smooth. Repeat with the left side. Now grab a cashew and position at the bottom front of the pop. Press in gently to make an indentation. Then, dip the fat end of the cashew in melted coating and attach to the pop. Again, smooth out any overflowing melted candy. Note that in the bottom right photo, I was making the indentation here. The cashew had not been dipping in coating yet. Okay, after the pieces are all attached, place the pop back in the fridge to chill again before dipping. If the pop gets to room temperature, it will fall apart when you dip the pops. But not if they are chilled. I love to see how things start to take shape when the coating is added. You’d never know all that messiness from building the structure was underneath. Once all the elephants are dipped, let them dry completely before you really bring them to life. 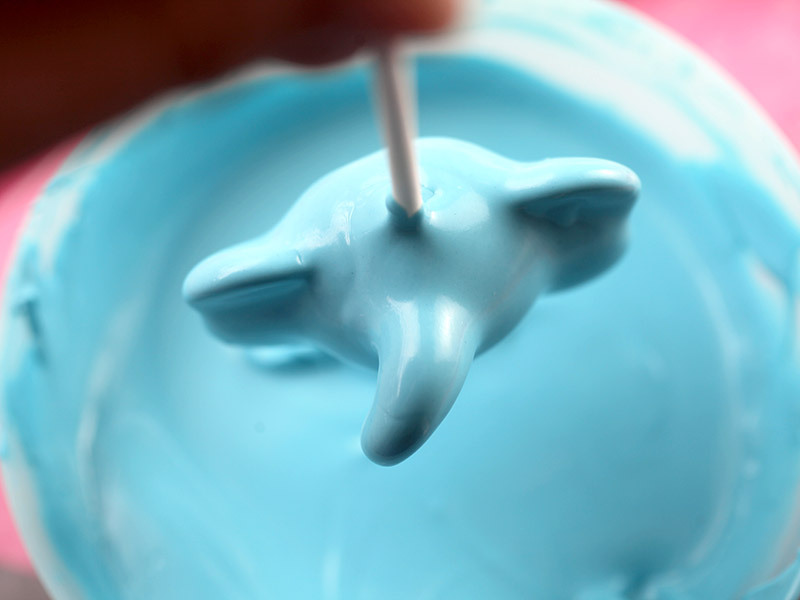 You can use the melted candy as glue to attach the decorations to the elephant. Here are the hearts for them to hold. They’re nice and big. I also wanted them to have sweet little bows on one side so I used my Playful Shapes Candy Mold and Party Pink Candy Wafers. Because they’re totally girl elephants. They also have sweet cheeks made using pink confetti sprinkles. 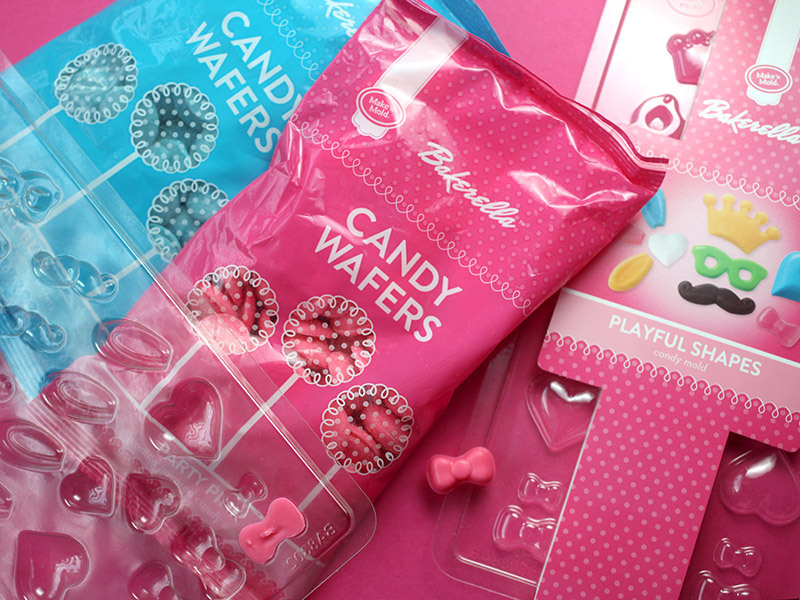 And these girls have their party hats on … They’re made with baby tear candy shapes. I just used some kitchen scissors to cut the ends off so they would attach to the shape of the head more efficiently. To cover up the rough edge or gap where the party hat is attached, just use some melted candy to apply around the base. 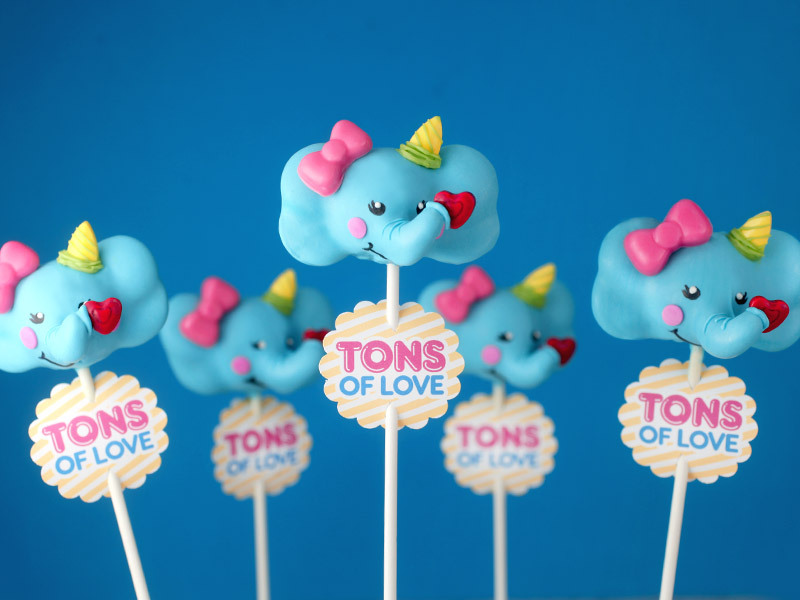 The candies are all attached using melted candy coating applied with a toothpick. 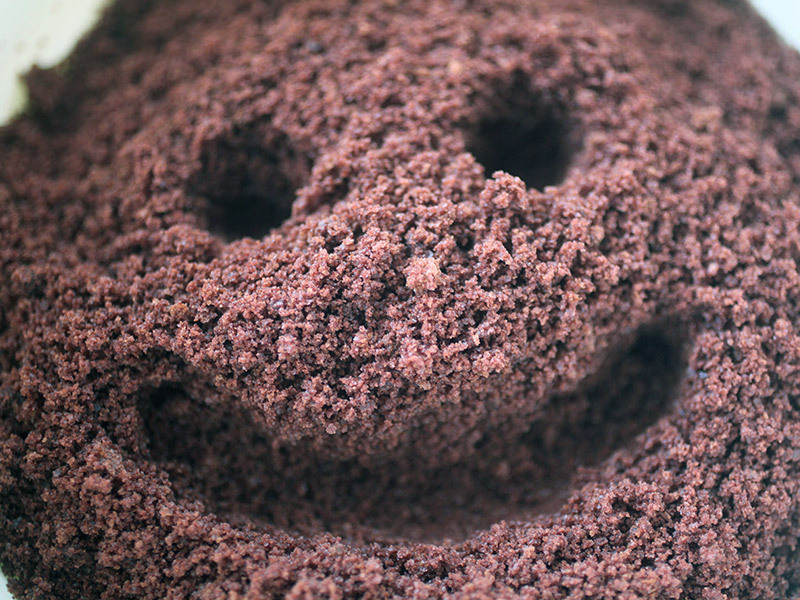 The eyes and mouth are drawn on using a black edible writing pen. And the trunk and hat details are just more melted candy drawn on using a toothpick. Okay, I know these have a lot going on, but I wanted to show you a bunch of eleph-fun options all at once. 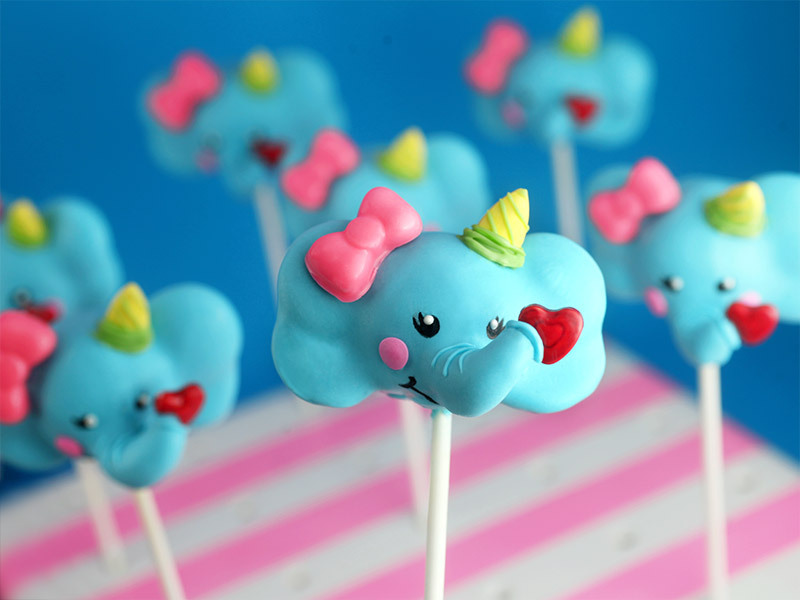 And … you can absolutely make them just dipped with eyes and a mouth and they’ll be super cute, too. It’s up to you. 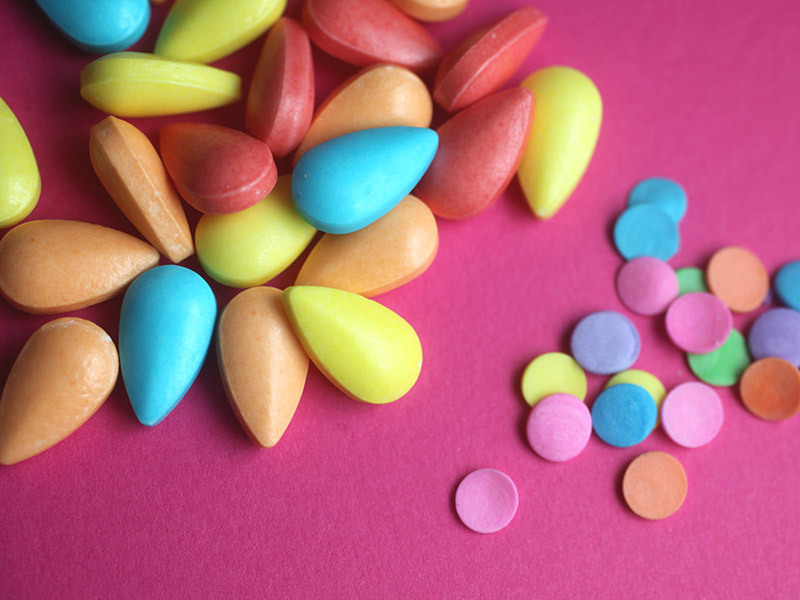 And if you want to make these fun for something other than February 14th, poke a hole in the center of a mini candy wrapper and slide it underneath the pop for a fun collar. A polka-dot wrapper would be totally adorable. 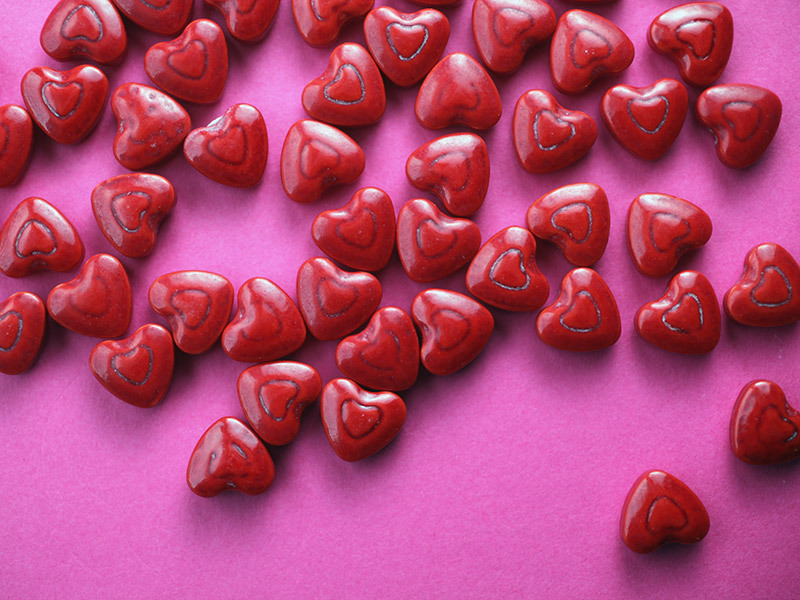 And instead of a red heart, try a Sixlet candies – they make the perfect little balls. 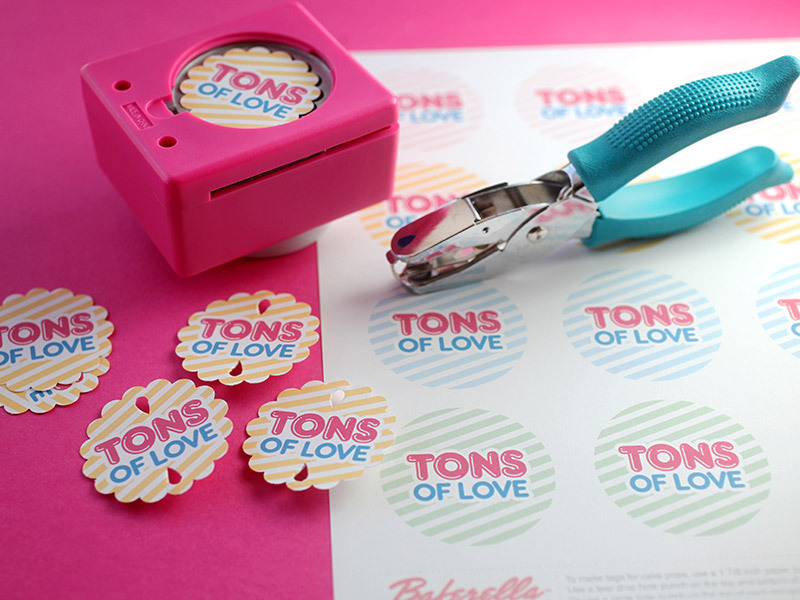 But since we’re in the mood for love this week, share a ton of it with these treat tags. You can download them right here to print out and punch out with a 1 7/8 paper punch. Don’t forget to have a Happy Valentine’s Day!